Why did I write the book called 2012? Why did I write the book called 2012? What is going to happen? I started writing the book before the 2008 elections. At the time that Hilary Clinton and Barack Oboma were running against each other in the presidential primaries. As time passed in the very early stages of the primaries and the pole came out that a liberal democrat would win the election no matter who won the primary both Hillary and Oboma where liberal or progressive Democrats. Whatever you would call them or they call themselves. I knew either one would be really bad for the country and specifically the economy. I know that poles change and are also very inaccurate, but weighing who they would be running against in the republican party no matter it was, they would be accused of being another 4 years of President Bush. That’s exactly what happened. The economic status was already in bad shape while the primary elections were in progress. After the bank collapse in September of 2008 I knew then we would have the perfect storm of a liberal or progressive socialist as president and a crippled economy. This is a recipe for an economic disaster that no one alive has ever seen. A liberal or progressive socialist has no real understanding of a capitalist economic system. The policies the liberal or progressive socialist will pursue will destroy a strong economy. They only think of economics in terms of a socialist’s idea of how an economy should work and they always fail. You are now seeing the results and the evidence play out in the healthcare bill and then the cape and trade bill. These are both huge tax increases and the largest power grabs ever attempted in United States history. Neither one of these huge tax increases need to become law for 2012 to unfold as I have forecasted in the book. The book will tell you what will happen next in the economy from 2010 and going forward. It explains the long term affects from the bank collapse in September of 2008. Showing the math and considering the politics to prove the next bank collapse will happen in 2011. While explaining how that huge Federal government deficit of over 1 trillion a year for as far as the eye can see. Then adding in the politics and how the current state of our politics to the economics guarantees a complete collapse of the dollar by the end of 2012. I know that people don’t like bad news. I believe the American people need to know even if they don’t want to know. The people need and should know the truth. The people need to prepare themselves and their families. 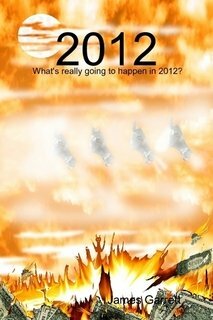 I will tell you in great detail what will happen in 2013. I write many times in the book that I really hope I am wrong about all the economic forecasts for 2010 through 2013. There is no economic forecast for 2013 because there won’t be any economy left to forecast. This is what you need to prepare for.